In addition to serving as the drummer of one of the all-time definitive arena rock acts, Journey (during their most successful period from the late '70s through the early '80s), Steve Smith has also played with a wide range of other artists. Born on August 21, 1954 in Brockton, MA, Smith began drumming at the age of nine, when he took lessons from respected big-band drummer and instructor Bill Flanagan. Subsequently, Smith played a variety of musical styles (swing, R&B, hard rock, fusion, big band, etc. ), and enrolled at the Berklee College of Music in Boston, MA. 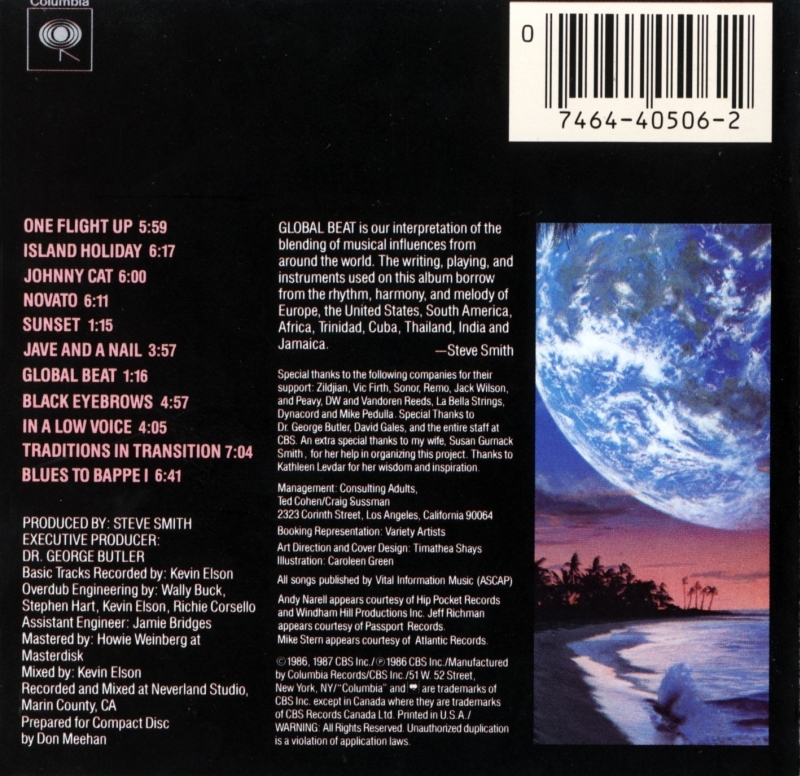 In October of 1976, Smith signed on with jazz violinist Jean-Luc Ponty, touring as a member of his band, and appearing on the album Enigmatic Ocean (1977). After briefly serving as the drummer for Ronnie Montrose's band in 1978, Smith was invited to join Journey, who were in the midst of a musical switch -- from fusion to arena rock. The group couldn't have picked a better-suited (and versatile) drummer than Smith, as he manned the kit on such mega-hit albums as Evolution (1979), Departure (1980), Escape (1981), and Frontiers (1983), during which time Journey became one of the U.S.' most successful rock bands. But at the peak of Journey's success, Smith was fired by singer Steve Perry (who supposedly wanted to go in a more "soulful" direction). Undeterred, Smith shifted his attention to the more musically challenging and varied outfit Vital Information, which he had founded in 1983 while still a member of Journey. 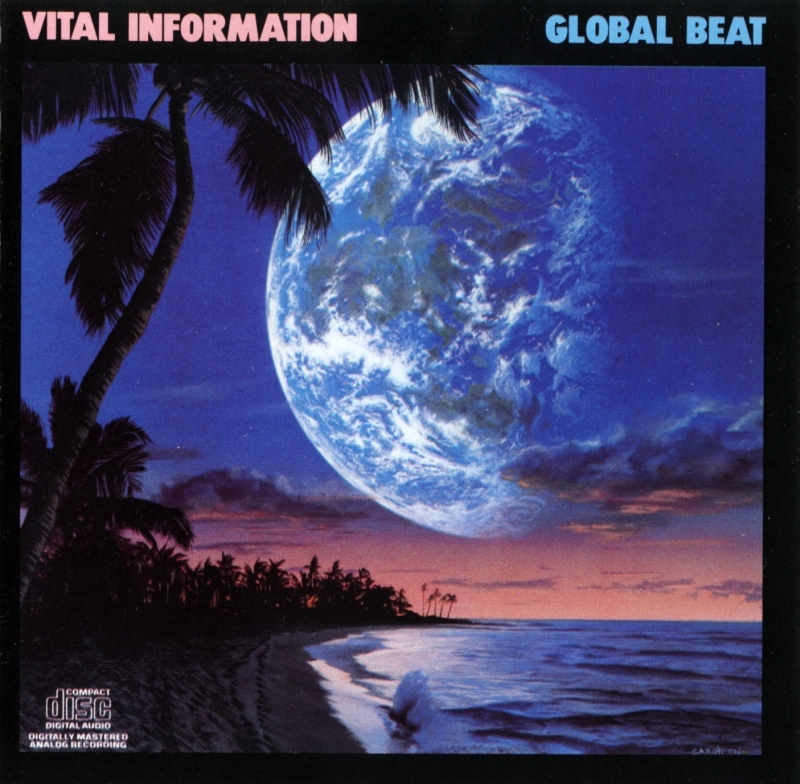 Vital Information issued albums on a regular basis throughout the '80s (including such standout titles as Global Beat and Live Around the World: Where We Come from Tour 1998-1999, among others). He also joined the all-star jazz/rock outfit Steps Ahead in 1986 and stayed with them until 1993. Smith joined a reunited Journey (who had been on hiatus since 1987) during the late '90s, resulting in a brand new studio album, Trial by Fire (1996), and a proposed world tour. But on the eve of the tour, Perry discovered that he had a degenerative hip condition, and the tour was ultimately scrapped entirely. In addition to his recording with Journey and Vital Information, Smith has either recorded or toured with Steps Ahead, Randy Brecker, Allan Holdsworth, Frank Gambale, Stanley Clarke, Mariah Carey, Ahmad Jamal, Stuart Hamm, Tony MacAlpine, Dweezil Zappa, Y&T, and many others. Smith also enjoys helping other drummers, as he has given clinics all over the world throughout the years (even issuing an instructional video in 1987), and was voted "Number One All-Around Dummer" in Modern Drummer Magazine's reader's poll from 1987 though 1991. In 2001, Modern Drummer again voted for Smith, but this time he was among one of the Top 25 Drummers of All Time; the next year the magazine voted Smith into their Hall of Fame. Among Vital Information's most notable albums of the '90s and 2000s are Vitalive! (1991), Easier Done Than Said (1992), Ray of Hope (1996), Show 'Em Where You Live (2002), and Come on In (2004).